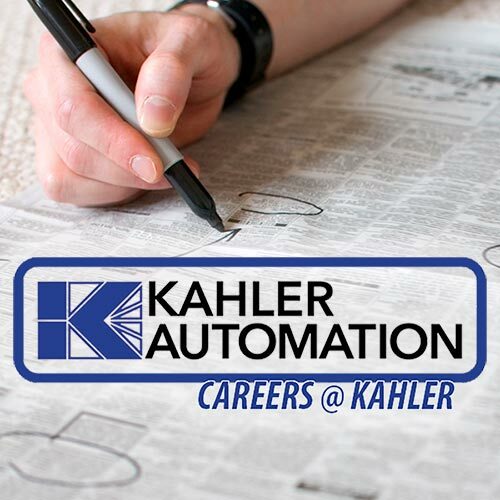 Grown from strong ag roots, Kahler has become a global player in industrial automation systems while supporting our local community in rural southern Minnesota. Kahler Automation traces its lineage back to 1949. That’s when Fairmont, Minn., native Roy Kahler, having returned home after working in the shipyards during World War II, chose to support his wife and young family by starting Kahler Electric. In time his sons, Wayne & Doug, would join the family business as electricians. By 1980, however, Wayne had grown “tired of wiring homes” so his brother suggested they create an “automation division” to serve their area’s farming community. Wayne and a small crew began doing programmable logic controller work in hog kill facilities, and developing barn ventilation controls under the trade name “Vent-Trol.” Then in 1988, a business partner floated the idea of using a weigh tank to measure farm chemicals and dispensing them into 200-gallon mini bulk containers; with this, Kahler’s iconic Fluid Dispensing System was born. Their first FDS unit was built for what was then La Salle Farmers Grain in Madelia, Minn., and featured polished stainless steel fill pipes, stainless steel pumps, and variable frequency drives for slowdown and accurate cutoff. Sales took off — distributors were selected to sell Kahler products across the central and upper Midwest, and panel assembly and service staff added to handle demand. It wasn’t long before Kahler Electric’s insurance carrier decided that with all of those custom ag projects, Wayne and his division’s growing crew were no longer insurable. A change needed to be made, and that change was the birth of Kahler Automation as an independent business in 1991. Liquid fertilizer systems and a common manifold chemical weighing system were added to the product line, and a computer software program called “Plant Supervisor” was created. The next several years were filled with countless customer visits, trade shows, production floor activity, system deliveries and site startups. Throughout the ‘90s business continued to expand, notably alongside the widespread growth of ethanol plant projects. 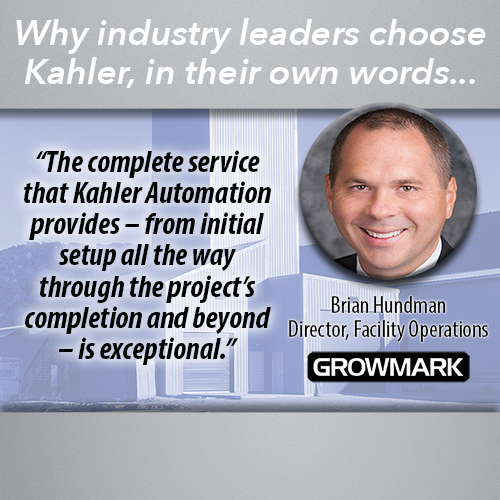 As the calendar turned to a new century Kahler Automation developed into much more than just a fluid controls provider. In 2001, Kahler began selling dry facility systems and offering its expertise for the many new “mega terminal” grain facilities popping up nationwide. The company broadened its software development program as Wayne’s son, Logan, brought his computer engineering background to the team. By 2007 Kahler had far outgrown its original Fairmont site but stayed true to its roots, relocating to an all-new facility in the community’s industrial park. Groundbreaking for new facility at 808 TIMBERLAKE road in fairmont, Minn.
Kahler Automation is horizontally and vertically integrated into the agronomy world, applying technology to help its partners manufacture, store and distribute farm chemicals and fertilizers. Its business partners include large and small farmers cooperatives, farm chemical and fertilizer manufacturers, agronomy service providers, road and rail transportation businesses, agricultural equipment manufacturers, construction companies, and producers of food, fiber and fuel. Kahler’s hardware and software systems measure, blend and track agricultural products across the county and around the world, and its panels proudly bear the mark of a UL-recognized panel manufacturer. While the industries in which Kahler Automation control systems are found has diversified since the mid-‘80s, the majority of the company’s work remains agricultural. Starting from ventilation controls for hog barns, and over the years expanding to measuring farm chemicals for cooperatives, to grain dryer controls, to liquid and dry fertilizer dispensing, to ethanol plant controls, to completely integrated systems for large-scale grain facilities… Kahler works with, works for, and is agriculture. In 2018, now in its 27th year as Kahler Automation, the business continues to develop new products and expand into new markets. Grown from strong agricultural roots, Kahler has become a global player in industrial automation systems while supporting the families and communities of more than 80 employees in rural southern Minnesota.